Mac McAnally, the country songwriter and member of Jimmy Buffett's Coral Reefer Band, is resting at home in Nashville after suffering a heart attack. McAnally had the attack on Monday night, less than a week after tying Chet Atkins for the most Musician of the Year trophies (nine) at the CMA Awards. According to his publicist, he was treated at the hospital and released to go home where he will be resting in the near term. "He's going to be back to work really soon." 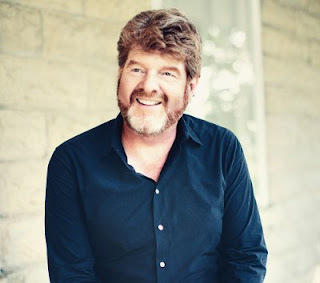 McAnally has released over a dozen solo albums and reached number 14 in 1990 on the Country Singles with "Back Where I Come From". Among songs he written for other artists are "All These Years", "The Boys and Me", "Thank God For You" and "This Time" for Sawyer Brown, "Down the Road" for Kenny Chesney, "Old Flame" for Alabama, "Two Dozen Roses" for Shenandoah and "You're My First Lady" for T.G. Sheppard.